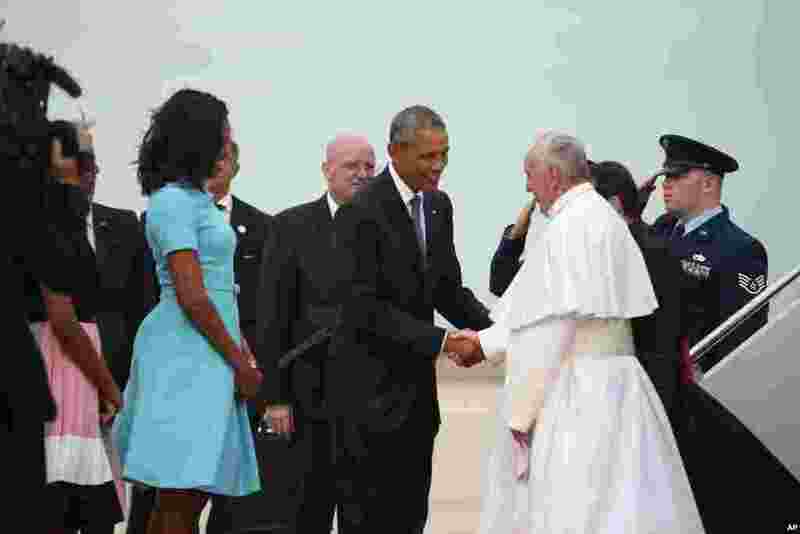 1 President Barack Obama and first lady Michelle Obama greet Pope Francis upon his arrival at Andrews Air Force Base, Maryland, Sept. 22, 2015. 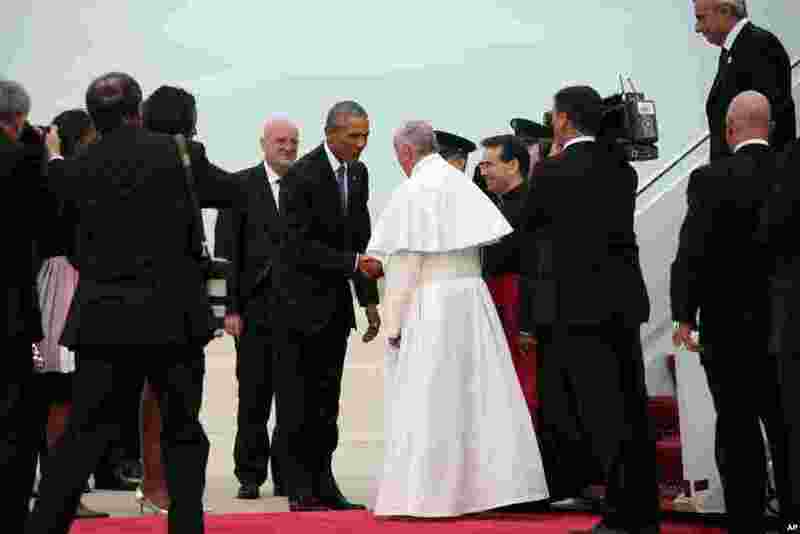 2 President Barack Obama greets Pope Francis upon his arrival at Andrews Air Force Base, Md., Sept. 22, 2015. 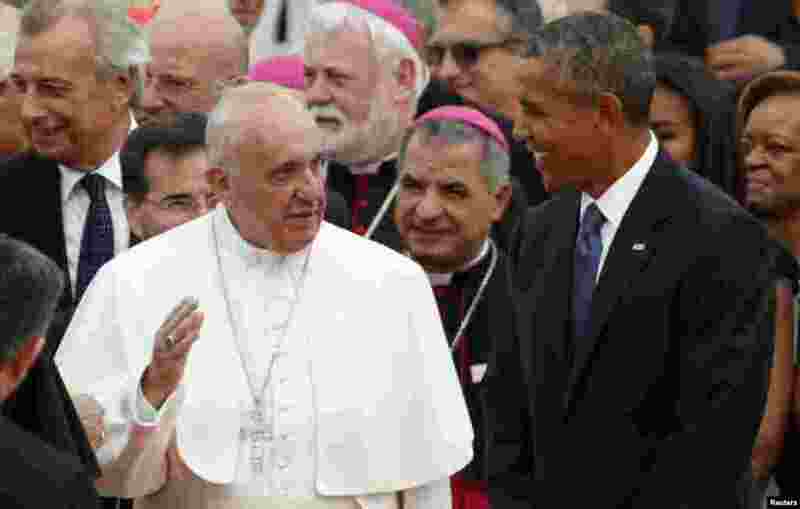 3 U.S. President Barack Obama (R) welcomes Pope Francis upon his arrival at Joint Base Andrews outside Washington, D.C., Sept. 22, 2015. 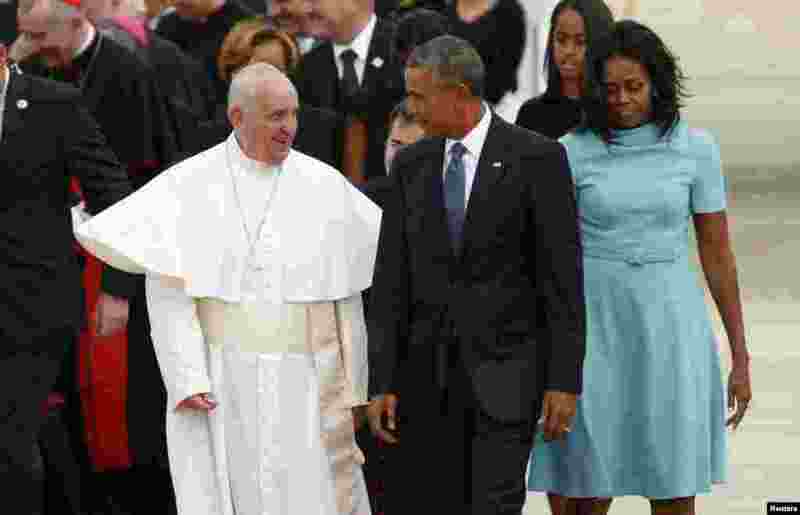 4 Pope Francis, left, is greeted by U.S. President Barack Obama and first lady Michelle Obama upon his arrival at Joint Base Andrews outside Washington, Sept. 22, 2015.